Rock band fronted by actor Kevin Bacon headlines benefit for veterans at Lisner Auditorium. 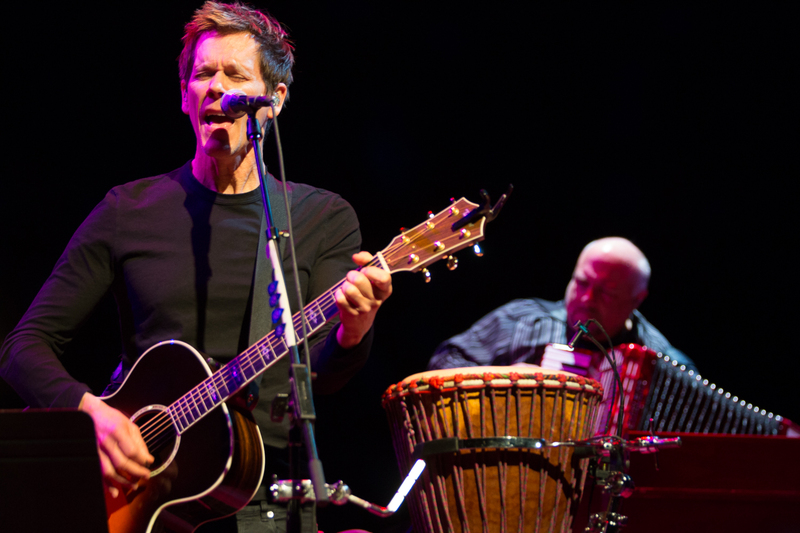 The Bacon Brothers, featuring actor Kevin Bacon, perform in support of veterans at Lisner Auditorium. While serving in Iraq as an Army major, Ben Richards was described as one of the best officers in the military in a senior official’s evaluation. He had graduated from West Point with honors and established himself as a leader—but after suffering serious concussions during the detonation of two roadside bombs, Mr. Richards has been left with traumatic brain injury (TBI) and cognitive deterioration. 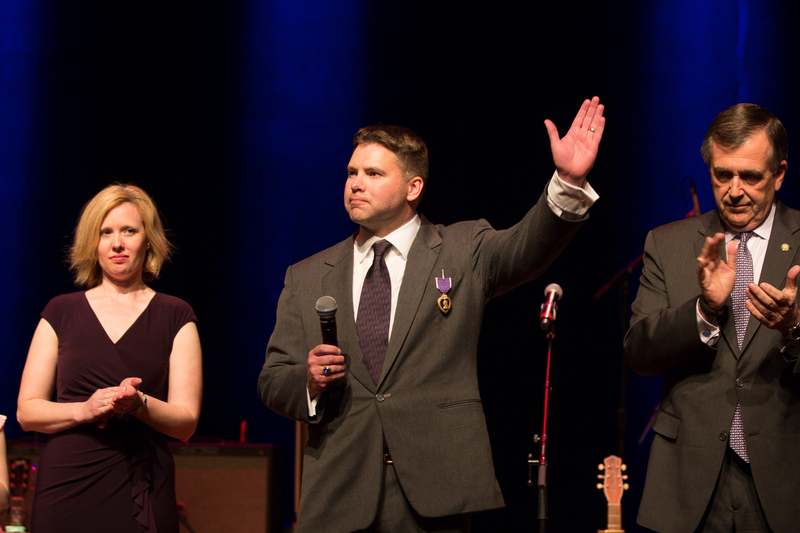 The veteran was honored for his bravery and received the Purple Heart Award on Saturday at Lisner Auditorium during Stand for the Troops, a benefit concert organized by the eponymous nonprofit that works to guarantee access to the best leadership, training and equipment for those who have served. 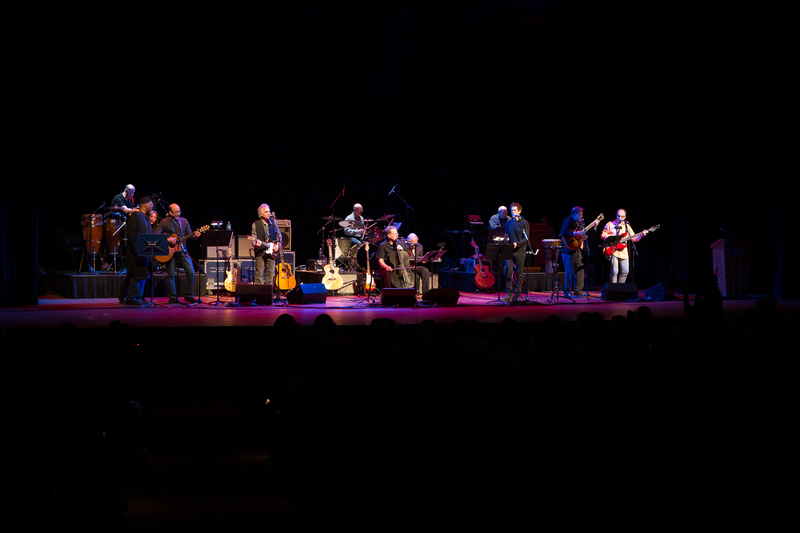 The evening included a comedy routine and four musical performances, featuring rock headliners the Bacon Brothers. 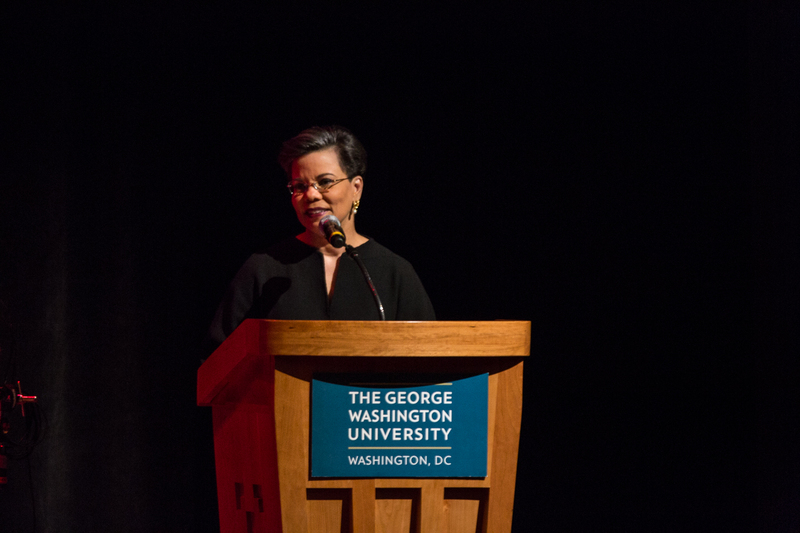 Maureen Bunyan of ABC News hosted the event. Stand for the Troops, led by chief executive officer Eilhys England, reached out to the Bacon Brothers through a mutual friend. The band has a longstanding commitment to veterans' affairs and agreed to do the performance for free to show its support and to recognize Mr. Richards. General Peter Chiarelli, former Army vice chief of staff, presented Mr. Richards with the Purple Heart. Mr. Chiarelli explained that the award is an entitlement for veterans who return home with wounds of war and a tradition first started by President George Washington. Because Mr. Richards suffered a mental condition with no visible physical signs, he had waited seven years to receive the designation. Mr. Richards gave thanks not only to his wife and four kids, but also to the spouses and children of all wounded soldiers in the audience. “Really, we should have six of these awards to pin on tonight. We often overlook when we pin a medal on a soldier is the wife and children,” Mr. Richards said. 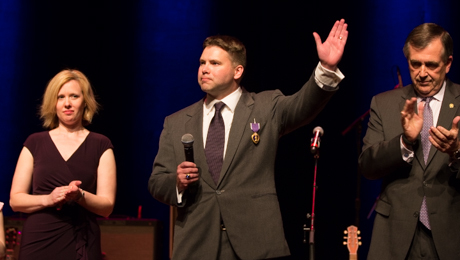 Former Army Major Ben Richards received the Purple Heart for his brain injuries in Iraq. 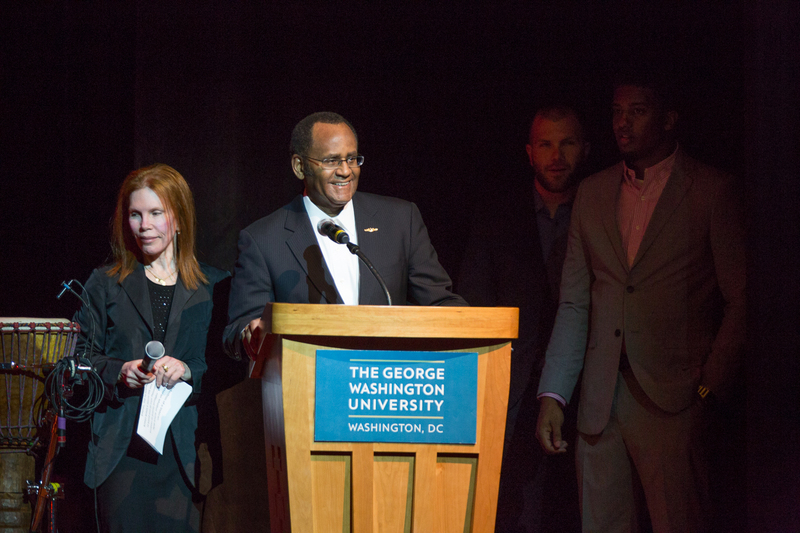 Vice Admiral (retired) Mel Williams Jr., the George Washington University’s associate provost for military and veterans affairs, provided a brief welcome and described GW’s commitment to veterans. “Our students here at GW include military veterans and military family members who make up 4 percent of the student body, and let me tell you, they are remarkable,” said Adm. Williams. He then introduced President of GW Veterans Emanuel Johnson, a junior in the Columbian College of Arts and Sciences, who greeted the audience. 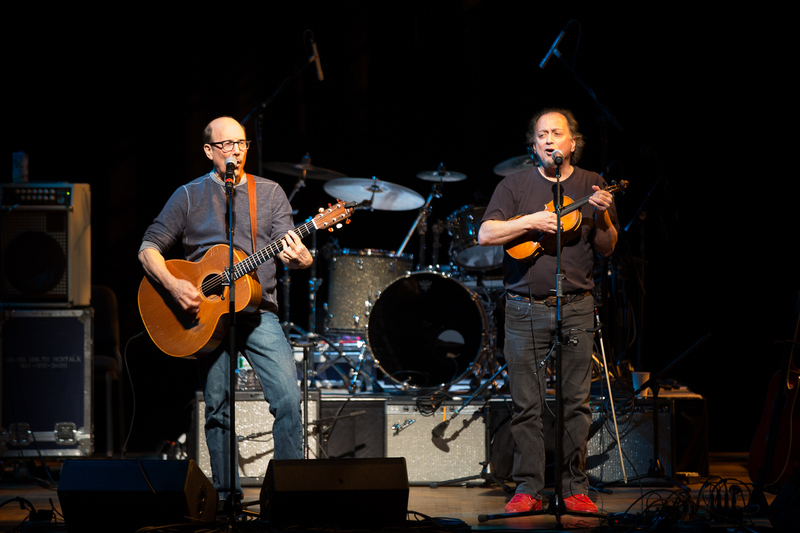 David Buskin and Robin Batteau sprinkled comedy into their irreverent mix of folk and pop. Both musicians boasted careers as jingle writers in the ’80s and have become well known for their fun-loving performances. 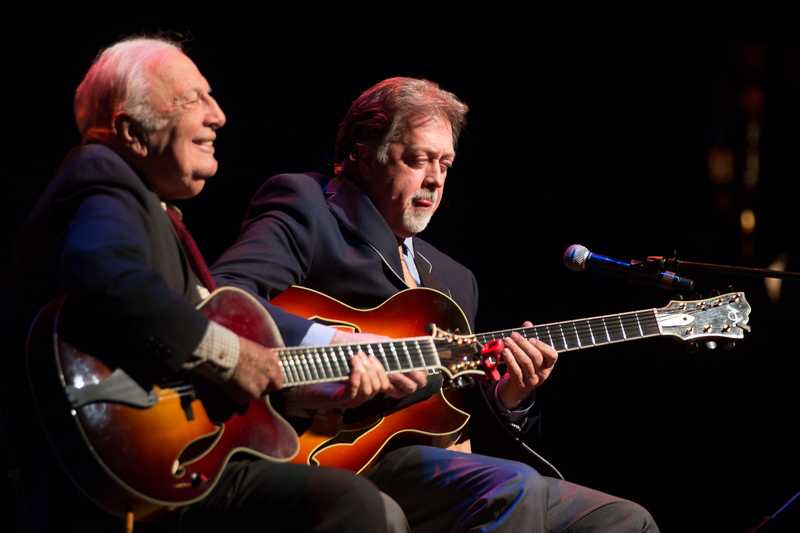 Jazz guitarists Bucky Pizzarelli and Ed Laub—a pair that started off as teacher and student—have performed together for more than 12 years. Mr. Pizzarelli, who was inducted into the New Jersey Hall of Fame, impressed the crowd by playing a song he recorded with Paul McCartney. The two jazz performers strummed out their set on seven-string guitars. 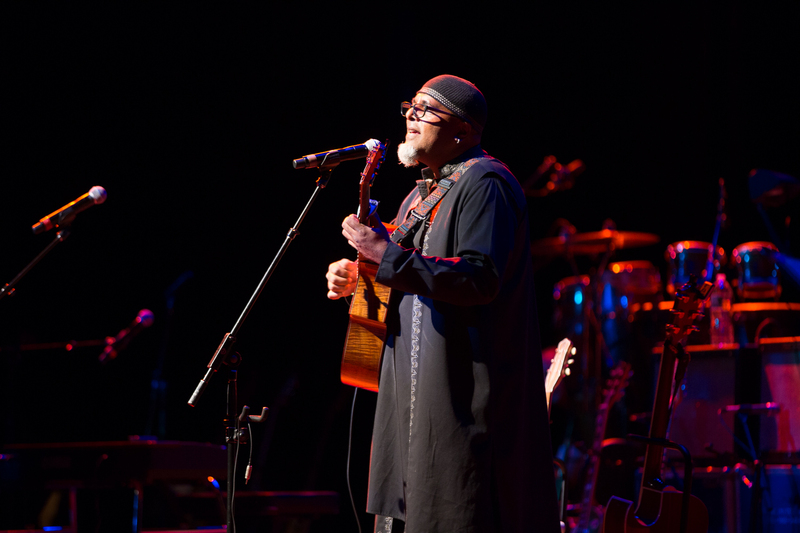 “Somewhere in D.C., there are two poor guitarists missing their strings,” Ms. Bunyan joked. Former Saturday Night Live cast member Jim Breuer introduced the Bacon Brothers—but not before launching into several anecdotes about his family and career that had the audience roaring with laughter. Mr. Bacon and his brother, Michael, led a performance that got everyone on their feet, playing songs from past albums as well as tunes from their upcoming untitled project. 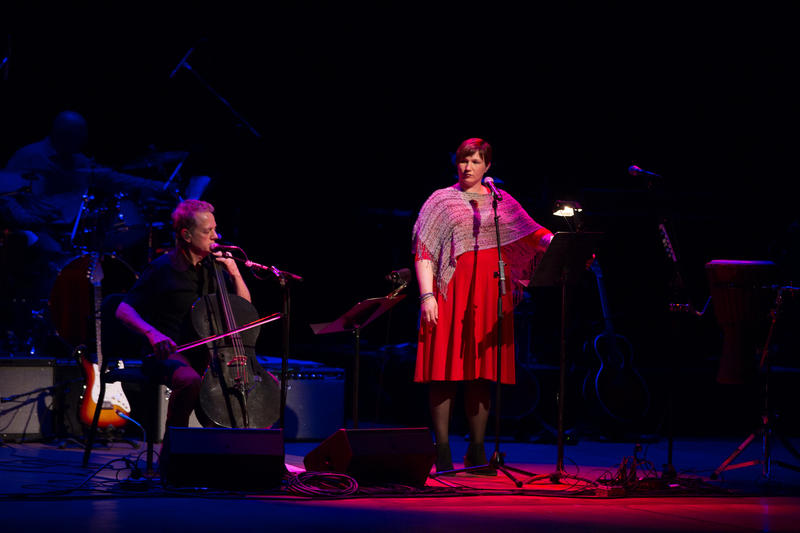 In one moving moment, poet and veteran Jenny Pacanowski joined them onstage to read a piece about the trauma of combat to their music. Mr. Bacon explained the cause was an important one and thanked the audience for coming out to support the veterans in the crowd. The night concluded on a unified note, with all the performers involved in the event coming together onstage for a final song. 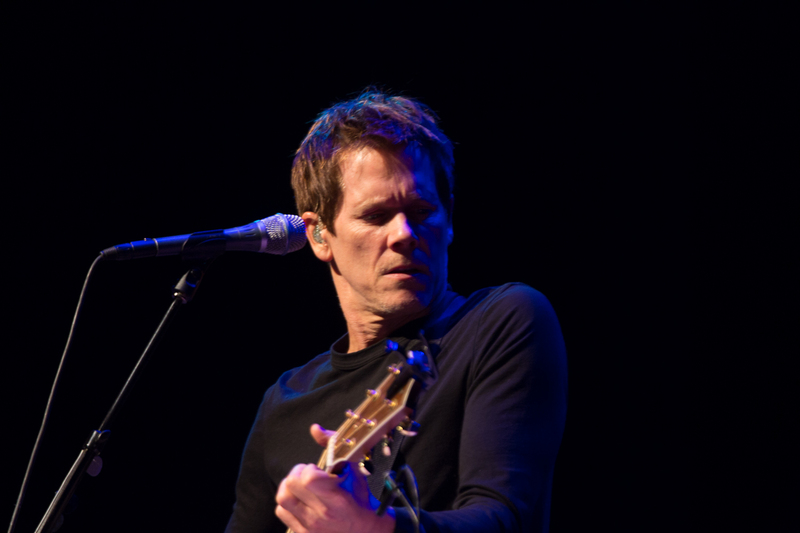 Kevin Bacon performs at Lisner Auditorium with the Bacon Brothers. ABC's Maureen Bunyan hosts Stand for the Troops, a benefit concert organized by a nonprofit of the same name. Retired Vice Admiral Mel Williams Jr., the George Washington University’s senior associate dean for military and veterans initiatives, and Chief Executive Officer of Stand for the Troops Eilhys England provide welcome remarks. 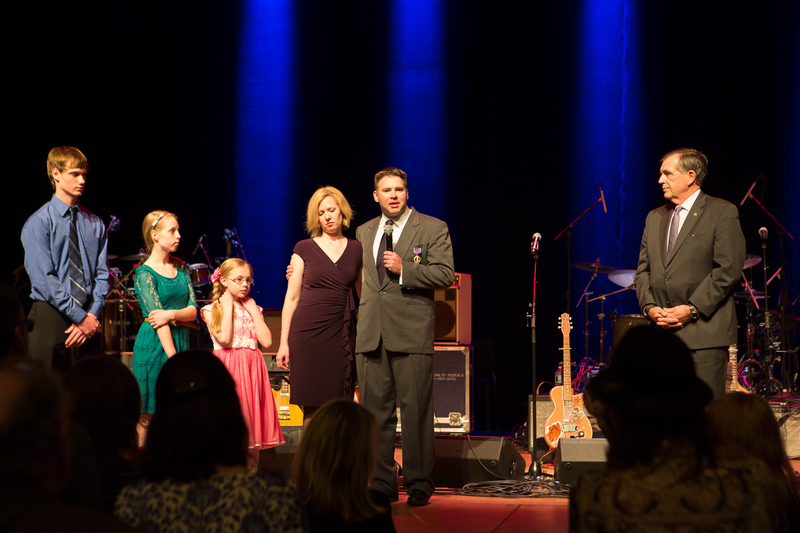 Former Army Major Ben Richards thanks his family for their support following his brain injuries while serving in Iraq. Tom Prasada-Rao sings at Stand for the Troops. David Buskin and Robin Batteau play a mix of folk and pop. Jazz guitarists Bucky Pizzarelli and Ed Laub impress with their seven-string guitars. 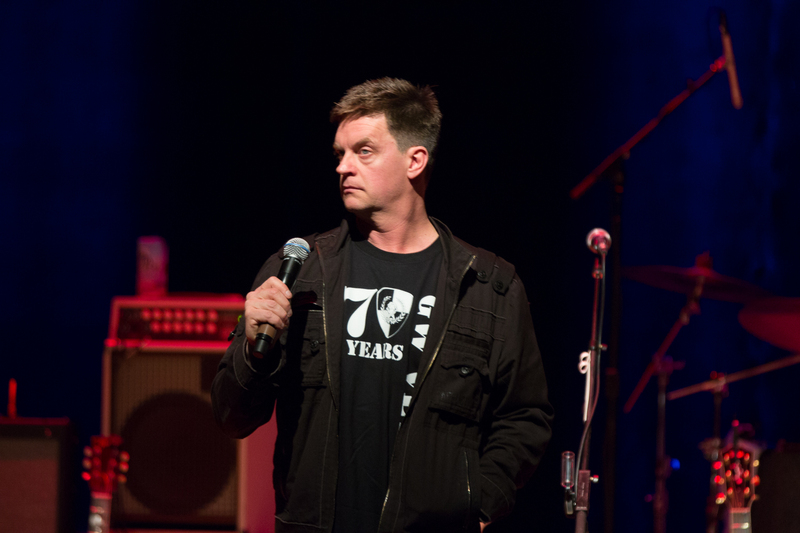 Former Saturday Night Live cast member Jim Breuer performs a comedy routine. Kevin Bacon leads the band in a song from their upcoming album. 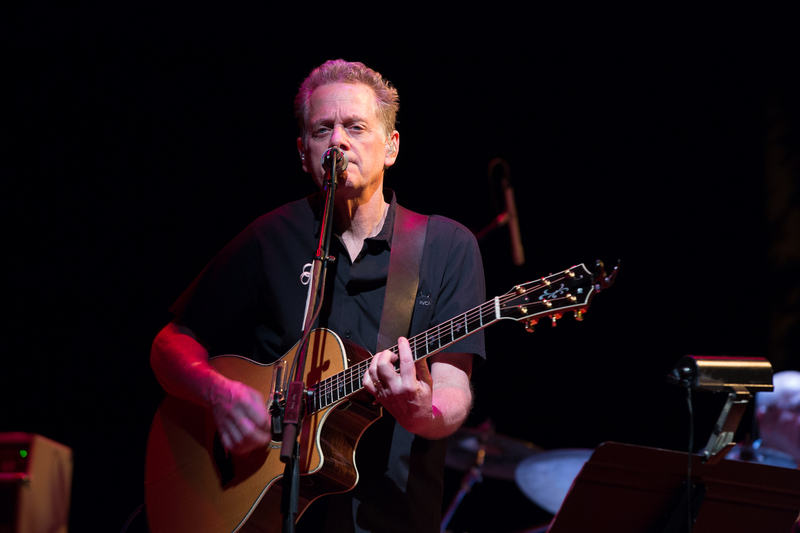 Michael Bacon, brother of actor Kevin Bacon, plays with the Bacon Brothers. 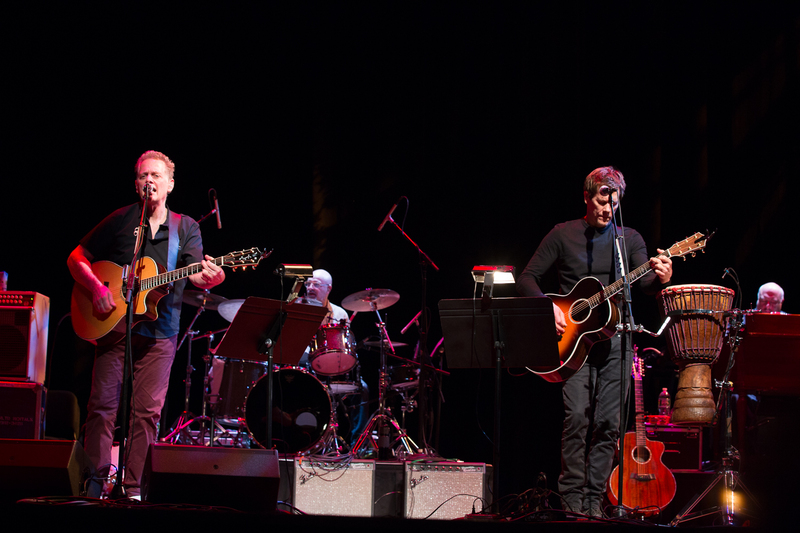 The Bacon Brothers take the Lisner stage. Poet and veteran Jenny Pacanowski reads one of her pieces to Michael Bacon's music. All the performers join the Bacon Brothers onstage for a final song.